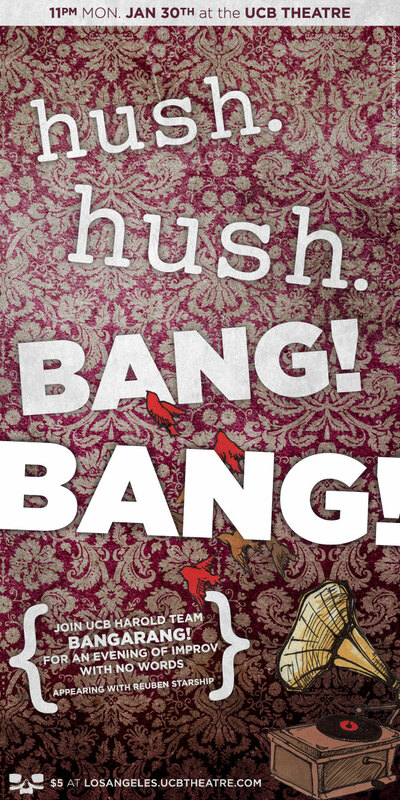 Poster for hush. hush. BANG. BANG! at the Upright Citizens Brigade Theatre. UCB house team Bangarang! was experimenting with an organic improv show that had no words and wanted their poster to give audiences an idea of what they might expect. Phonograph illustration by Maggy O’Reilly.